By the side of a road near Morogoro, Stanley and his friends stand next to their large buckets of tomatoes as cars whizz past. Wearing sideways baseball caps, sunglasses and low-slung jeans, the young men look like a hip hop group as they wait expectantly for customers. Their offer should be an enticing one. A whole pail of tomatoes for just a couple of dollars – less than half the usual price. But everyone here has had to slash their prices. Tomatoes are in abundant supply. As he says this, several 4x4s race past throwing up dust clouds in their wake. Emblazoned on their sides are logos such as USAID, DAI, NORAID and YARA – all active players in the brave New Alliance that promises to transform the nation. The New Alliance was launched in 2012 by the countries of the G7 in partnership with ten African countries. It champions the private sector as the key to transforming African agriculture. Scores of multinationals signed up to it, agreeing to help invest $8 billion in participating countries. Tanzania is a particular focus of this grand project. In 2009, its government earmarked a third of the country, labelled The Southern Agricultural Growth Corridor of Tanzania (SAGCOT), for agricultural development. It hopes the New Alliance and the introduction of foreign corporations can help it raise productivity, which is well below its potential, and boost the economy across the area. The organisations behind the project boast that Tanzania has 350,000 hectares of available land, which has been offered to investors for at sometimes less than $1 per hectare per year. Glowing reports point out that the country has “good soils, ample water resources, and access to both regional and international markets” and claim that “only 24% of arable land is currently under production”. Foreign multinationals have thus been urged to invest and have been helped along by Western donor backing and favourable domestic policies designed to ease their access to land. The narrative is of a simple win-win, of land lying bare and idle finally being put to use in order to grow much-needed food, create jobs, and give a shot in the arm to the economy. Yet the reality appears to be far less straightforward. 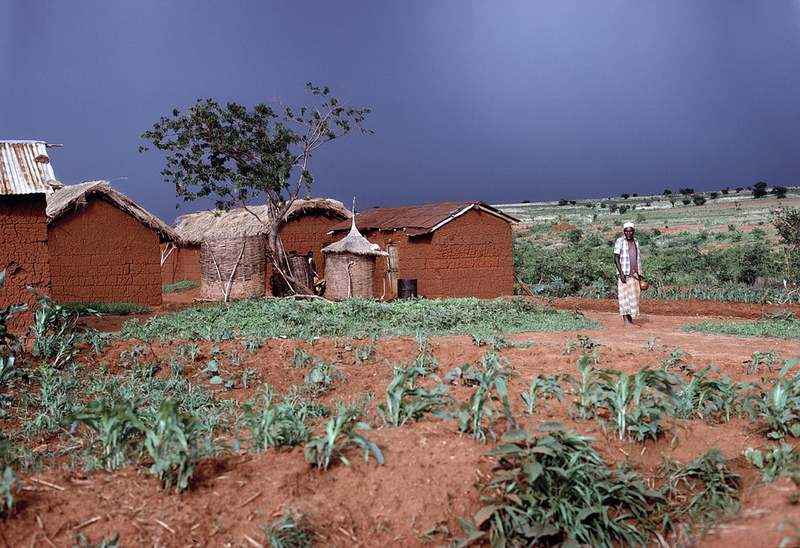 Although they may not own titles to it, smallholder farmers and pastoralists have been using much of this land for centuries. They say that they have seen much of this property seized, leading to rising conflicts between the two groups over the land that remains. 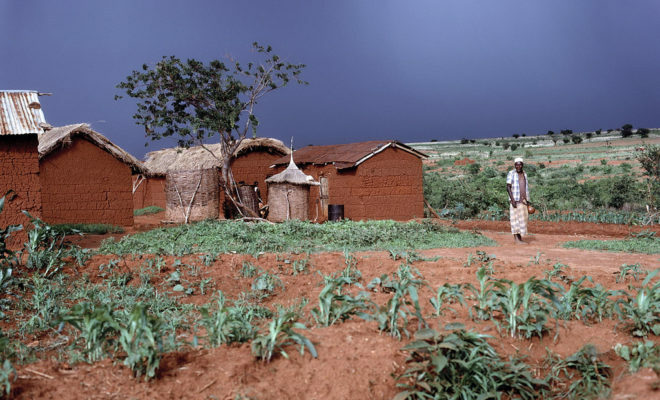 “The clashes between pastoralists and farmers are a clear indicator that there is no free land available for SAGCOT, New Alliance or otherwise”, says Lusugga Kironde, a former government advisor who was commissioned by the World Bank in 2016 to write a report on land tenure. “If there was, we wouldn’t see these clashes. Our own farmers wouldn’t be moving into pastoralist land”. Land rights lawyer Stanislaus Nyambea is more even succinct in questioning SAGCOT’s underlying claim. “At the moment you can’t just hand out available land,” he says. “There isn’t any”. Many allege that, in several cases therefore, the large plots offered to investors are actually taken from smallholder farmers who lack deeds or are not aware of their rights. Other times, huge expanses are carved off from land used by pastoralists. This latter group has long been marginalised. As Fiona Flintan of the International Livestock Research Institute explains, “pastoralists around the world face insecurity in terms of tenure, access to land and resources upon which they depend”. She says that these peoples’ way of life is threatened as the uncultivated land they rely on is converted for agricultural use. This often occurs on the back of government plans that treat land as an economic resource to be optimised. “Pastoralist communities are among the most affected [by this ideology], reinforced by the widespread misconception that their productive system is economically inefficient,” says Paola De Meo, from the Hands Off The Land alliance and Terra Nuova. Pastoralists have arguably had a particularly tough time in Tanzania. The government has repeatedly urged herders to settle, seeing no future for them in the country, and evicted several indigenous groups from their ancestral homes. According to the International Working Group on Indigenous Affairs (IWGIA), authorities have utilised the police, security forces and even local militias or private security firms to remove pastoralists and often contravened the law in the process. In a 2016 report, the NGO reviewed several evictions and found that in all of them, the government did not inform or consult the groups prior to the action nor pay them any compensation. “[We should] ensure that all those identified as having committed human rights violations or breaches of legal process are taken to courts and tried and sentenced, no matter what position they held/hold,” the authors urged. Now with SAGCOT and the New Alliance ramping up, these trends are intensifying. As Tanzania boasts of its supposedly unoccupied land and loosens its laws to attract foreign multinationals, pastoralist communities are under growing pressure. They are seeing their options for survival narrow, while the increasing scarcity of land has led long-standing tensions with farmers to become more desperate. In the small village of Mnangai, pastoralists claim that they have been attacked, intimidated and had their homes set of fire recently, with incidents increasing over the past five years. Like her young farming compatriot Stanley, Florence would like to see Tanzanians lifted out of poverty as the New Alliance promises to do. But so far, the effects of the international initiative on both their communities have been deeply destabilising. They feel abandoned by their government as land that has historically been theirs has found its way into the hands of multinationals. Representatives from SAGCOT, the New Alliance, USAID, EU, and DfID all declined to comment. The author, a journalist based in Tanzania, wished to remain anonymous. This is a new form of imperialism, the Second Scramble for Africa Nyerere warned about a few months before he led Tanganyika to independence. He said Africa, emerging from colonial rule, was now facing the Second Scramble for Africa which was going to be more dangerous than the first. That is what globalisation has amounted to: recolonization of Africa. The people in Tanzania are being deprived and robbed of their land and resources in broad daylight for the benefit of foreigners. This would never have happened under Nyerere. And it would never would have happened under Nkrumah in Ghana or under Sekou Toure in Guinea. To my view the issue should not be on who owns the land but what plans are put in place for the limited resource ie land to be used sustainably and for the benefit of all because out of the foreign pressure there is a local population increase coupling with low productivity resulting from poor technologies hence land struggle at the end of the day. Uncanny echoes from the past. In the 1940s the British decided that Tanzania’s empty spaces were ideal for growing groundnuts, and launched the infamous and ill-fated Groundnut Scheme on 3 million hectares of “unoccupied land”. They spent the equivalent of £1 billion before giving up, beaten by the bush. How much more sensible to support the peasant producers on the land already to improve their productivity and reap the profit. Are aid agencies helping with that? This is the continuation of an old story….sisal, tea, groundnuts, parastatal ranching supported variously by the colonial authorities, the World Bank & other “donors”, latterly with the complicity of the Tanzanian Government to fill guess who’s pockets. The concept of development by itself is requiring an other thought. The African leaders need to think and rethink about genuine sustainabile development. The right development should begin by developing the people. The state should plan well how to change the life of the people which needs good national planning. Attracting FDI is not enough. The Foreign investors come to exploit cheap labour and resource to make profite. It is the duity of the state to worry about the fate of the pople on the land. The state should think how to develop its people and change their life style in the long run. The state should invest on the people and protect their previllage, and they should not be displaced and turned to be slave on their own land. The farmers who lived on farming all their life can not change theiir life syle and start an other business just in few years after when their land is taken. That is where proper planning is required.